I keep having this hose disconnect and I have no idea what kind of hose it is. 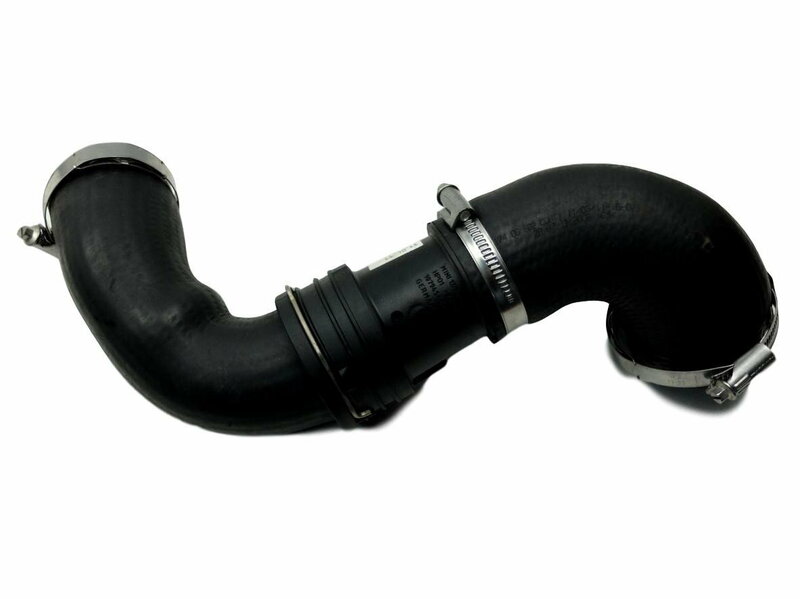 I searched the part number and all that comes up are french websites that aren't very descriptive (they just say "air hose"). 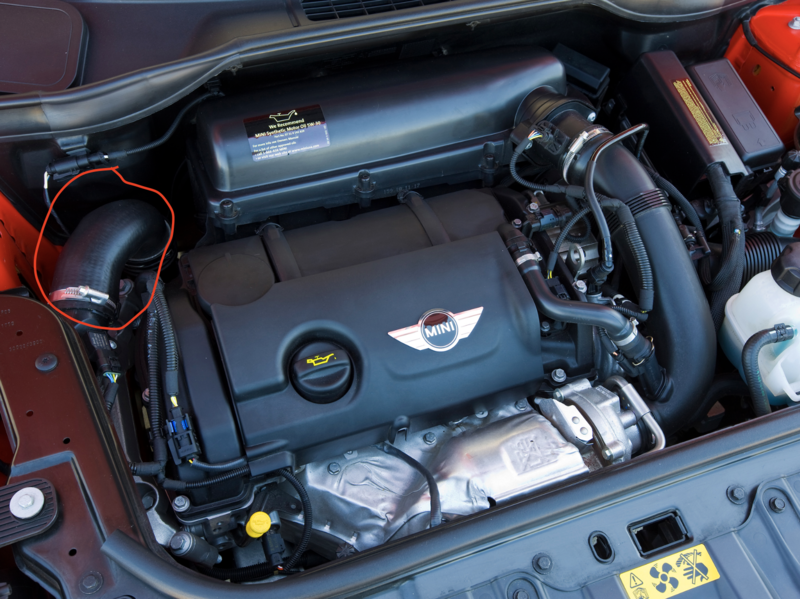 It is on the right side of my 2011 mini cooper s. SInce it started popping off, I have received a system too rich bank code and the car is jolty. I also hear a hissing/light grinding sound when I push accelerator past a certain point. Attached are some pictures, if someone can point me into the right direction of what this might be thatd be great! Unknown code for mini, help appreciated!